We can supply and / or install all sorts of electrical products for your home or business. 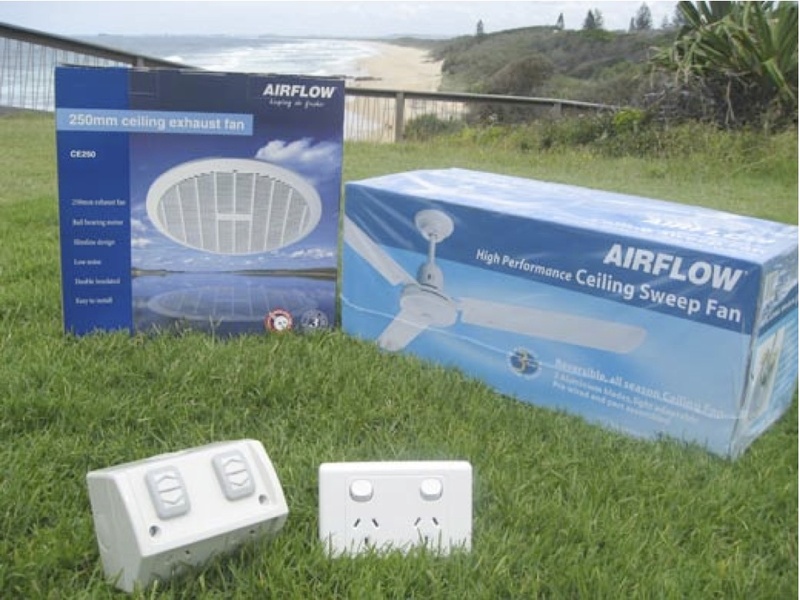 Unless there is a superior product available, our standard range of power products are made by Clipsal, including indoor and outdoor (weatherproof) power points, light switches and isolators. We typically install Airflow Ceiling Fans and Exhaust Fans, due to their reliability and ease of fitting, saving both time and money. Airflow products have a 3 year warranty. All types of lighting, including recessed down-lights, sensor lights, fluorescent lights, heater-fan-lights, industrial task lighting, emergency lighting and exit lights can be catered for.